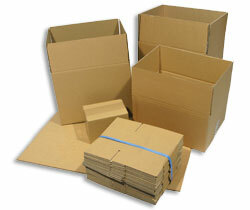 A range of double wall corrugated cardboard boxes suitable for all types of goods requiring extra protection. The double wall cardboard boxes are ideal for heavier items that require extra protection in storage, packing, or transportation. The heavy duty boxes are durable and will be able to be used over and over again with no issues. Available in a wide range of box sizes and a choice of pack sizes. The boxes will be supplied flat packed for convenient storage and easy assembly. Economy heavy duty boxes, suitable for all types of goods requiring extra protection. Heavy duty boxes, suitable for all types of goods requiring extra protection. Heavy duty boxes, multi scored for variable depths.